Free for Amplify Texture 2 users! Included in the full version package. 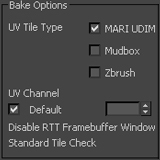 The bake tool was developed in order to process and export multi-tile uv data sets in 3ds Max for direct use with Amplify Texture 2 in Unity Pro, as an added bonus it’s a great pipeline addition if you need to take your 3ds Max projects into other Multi-Tile Based authoring tools such as MARI. 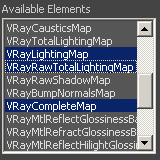 *The Multi-Tile UV Bake Tool is currently in development and only available, as is, in alpha format; some features are experimental. Be sure to run 3ds Max as Administrator when using the automated installation option, you may get a few runtime errors on restricted machines. If the problem persists please contact support@amplify.pt. A manual installation is included for machines without administrator privileges, check the folder Manual_Installation for additional information. The Multi-Tile UV Bake Tool automates and enhances the time consuming process of manually baking multiple tile collections in 3dsMax. The tool outputs tile collections in MARI UDIM, Zbrush, Mudbox and compatible naming conventions. It works with any type of render engine capable of using the Render To Texture extension such as Vray, Mental Ray, Brazil, finalRender or similar packages. 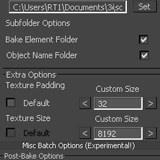 It works by taking the required bake element information directly from the Render to Texture Dialogue. Any Render Element available in the dialog can be baked with this tool, including Displacement, Normal or even Occlusion maps. The tool uses any options previously set up in the dialog, including projection settings or specific element parameters. The bake tool provides several batch options that will simplify and enhance your workflow. Baking hundreds or even thousands of tiles becomes a trivial task with automatic tile detection and several batch override options such as padding, tile size, texture density and UV Flatten options. Your architectural renders look fantastic, you processed countless gigabytes scanned data, assembled gigantic terrains based on DEM or other high quality sources, you built amazing art using your tools and materials of choice but now comes the dreaded step… It’s time to cut back, reduce quality, cut corners and compromise your work in order to adapt it to real-time applications. Not any more! By virtualizing all your texture data with Amplify Texture 2 you will be able to put aside common hardware limitations and take your projects into previously impossible levels quality and detail. Advanced texture compression far superior to DXT, zero texture loading times, no memory limits and advanced Multi-Tile UV support, always with a low ram footprint without compromising quality and performance. The Multi-Tile UV Bake Tool facilitates the process of baking large multi-tile collections. Use any element type available in the Render to Texture extension, chances are it will fit your pipeline without much change in your current workflow. Batch entire scenes into fewer draw calls (Unity+AT2). Easily bake and enhance your assets in compatible multi-tile packages such as MARI, MODO, Mudbox & Zbrush. From large terrain data sets to scanned data and video games, Amplify Texture 2 and the Multi-Tile UV Bake will take your project into the next level. 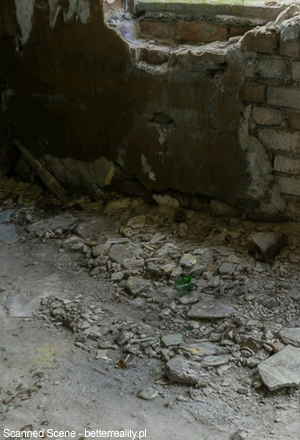 Try Amplify Texture 2 and see for yourself what it can do for your project. MARI, MODO, Zbrush, Mudbox, Maya, Mental Ray, Vray, Cebas finalRender and the 3ds Max logos & name are used only as a reference and are the property of their respective owners. The Evermotion image above is an actual Vray Render and is the property of their respective owners.